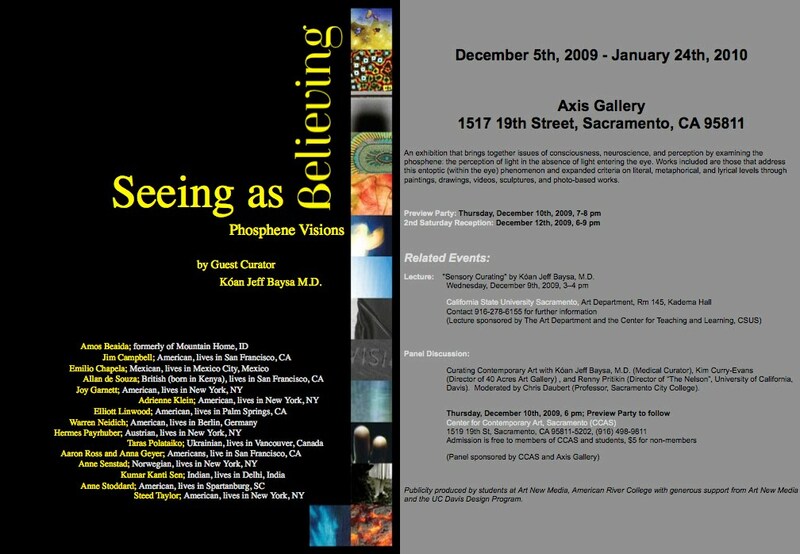 BUENOS AIRES, ARGENTINA – La Razón de Mi Vida/The Reason for My Life is an installation of work by Anne Katrine Senstad, a Norwegian artist, on display at the Evita Museum from November 25-29 2009. The installation, a projection of “La Razón de Mi Vida” in multiple languages, carries the legacy of Eva Peron’s mission and reminds us of conviction in one’s own beliefs, one’s mission. The site-specific installation, an experience of light and words projected onto the historic Museo Evita building, is a further development of her previous Neon Sentence works exhibited at Zendai MOMA, Shanghai and Gallery Nine5 in New York. In this presentation, Senstad plays with the meaning of words, transforming them by breaking up letter combinations and creating new meanings through differing languages. Thus, Senstad plays with Wittgenstein’s ideas of perception and the mapping out of language. Language and words are transformed and given new weight in process. The profundity of the sentence “The Reason For My Life”, combines the intensity and poetry of Eva Peron’s life with Wittgenstein’s essential idea of Language as Philosophy, captured in one sentence. Senstad adds the notion of language variables by including Chinese, English and Spanish, to add to the layers of symbols and direction of grids and patterns – thus exemplifying the universality of the meaning of words and language. The work will be presented during Video Arte Internacional Buenos Aires Festival, VIBA Festival. 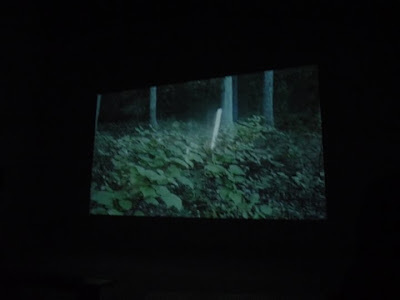 Senstad’s work at VIBA Festival includes her recent video work “Light Writes Always in Plural, Light Displacement – Section Two” 2008. It will be exhibited from November 22-29 at VIBA Festival (www.vibafestival.com) in Buenos Aires, Argentina, the first video art festival of Buenos Aires. 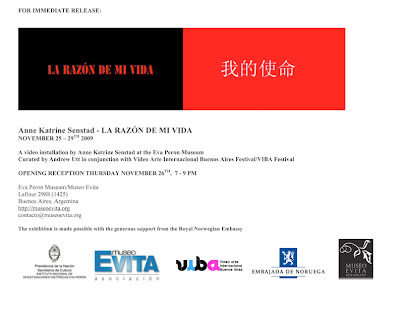 “La Razón de Mi Vida/The Reason for My Life” will be publicized through VIBA Festival in conjunction with the Eva Peron Museum. Anne Katrine Senstad is a Norwegian artist who lives in New York and Oslo. 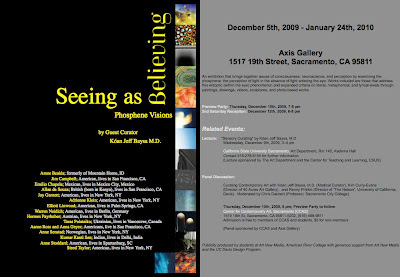 She has exhibited widely internationally, including Elga Wimmer LLC, Bjorn Ressle Gallery, Gallery Nine5 and Gary Snyder Projects in New York, The Noorderlicht institution in Holland, The Nobel Peace Center in Oslo, BOZAR Museum in Brussels, the Ministry of Culture in Monaco, Zendai Moma in Shanghai, KK Projects in New Orleans, Artfairs include PhotoMiami, DIVA Paris, Scope Miami amongst others.